Defibrillation is a treatment for life-threatening cardiac dysrhythmias, specifically ventricular fibrillation (VF) and non-perfusing ventricular tachycardia (VT). 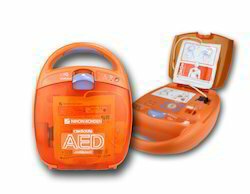 A defibrillator delivers a dose of electric current (often called a countershock) to the heart. The electrical shock does not have to be timed with the heart's intrinsic cardiac cycle. This depolarizes a large amount of the heart muscle, ending the dysrhythmia. Subsequently, the body's natural pacemaker in the sinoatrial node of the heart is able to re-establish normal sinus rhythm. 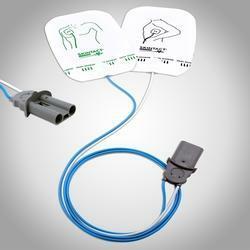 Our firm has gained recognition as the affluent organization of a qualitative Medical AED Pads. 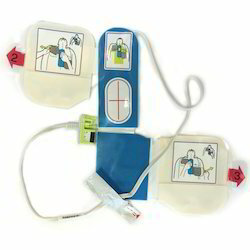 We offer a wide range of Nihon Kohden AED Pad. It is ideal for emergency use and can be operated easily by lay people. 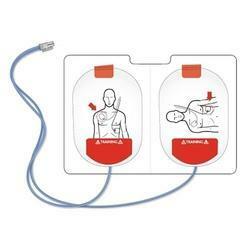 With the better understanding of the demand of industry, we are presenting a wide range of Defibrillator AED Pads. Excellent adhesivity and to their particular shape, they perfectly speak to the patient's skin and grant an homogeneous and uniform distribution of the current on all the conductive surface of the pad. 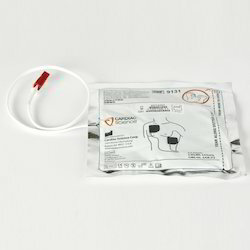 The low impedance values grant a low stimulation threshold and allow to make a very effective transcutaneous non invasive pacing with the minimum trouble for the patient. 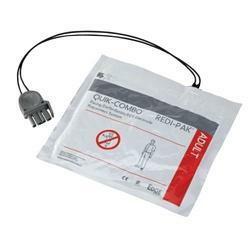 Models with cable of the right length and safety anti shock connector allow the direct connection – without any adaptor – to the devices of the main defibrillators brands, that nowadays are present on the market. Backed by our prospering business processes, we are able to provide quality assured Zoll AED Pads. Demanded in hospitals, health care centres, nursing homes, etc. 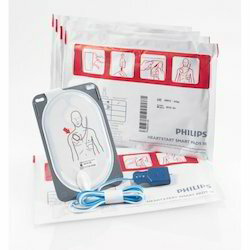 We offer a wide range of Philips Heartstart AED Pad. 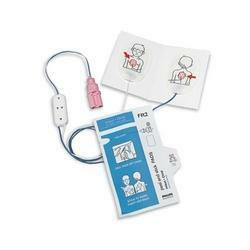 This pad come in a cartridge that attaches to the HeartStart OnSite AED. The cartridge can be easily snapped into the AED when replacing the pads. The Pull handle allows the rescuer to quickly and easily tear open the pads by just pulling down on marked cartridge handle. Our part numbers always end with the number "0". Are you perhaps searching with an "O" as in "Oscar"? Broaden your search by using more general keywords, such as the brand or model of the monitor you are seeking. Try clicking through our menu with the tabs above. Click on the category you are looking for (ex. ECG) and then click on the brand on the left-hand column. We are an acclaimed name occupied in offering our precious clients a superior quality range of Physio Control Lifepak AED Pads. Used in hospitals, nursing homes, etc.